What was warmly received as good news to unemployed teachers later turned out to be source of anxiety and agony. It should be remembered that May this year Teacher Service Commission (TSC) advertised 8,672 posts for recruitment of teachers who were meant to address the 100% transition from primary to secondary schools. In that advertisement notice, all interested candidates were directed to submit their applications to the respective County Directors and Boards of Management not later than 25th may, 2018, surprisingly up-to-date, majority of tutors who signed employment form have not received their offer of employment letters. Why is TSC delaying to release offer of employment letters? 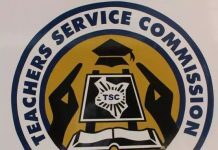 Is TSC trying save on salary of employed teachers? If yes,who is the beneficiary? A criteria that is being used by TSC to dispatch these letters is what has remained a puzzle. Its hard to believe the fact that some teachers in counties in North Eastern region have received their appointment letters while most teachers in counties close to TSC headquarters have not received their appointment letters. Waiting for appointment letters for more than three months is not only psychological torture but also professional crime. What’s annoying most is lack of proper communication from commission to address the delay in dispatching of letters. TSC is well known for its delay tactics when handling issues. Probably, appointment letters have been delayed deliberately so as to push this years’ mass recruitment to next year. At the beginning of this fiscal year (2018/2019), the government set aside whooping 5billion to cater for employment of additional teachers. The move was meant to increase teacher-student ratio. TSC must come out clean about the whereabouts of mass recruitment 2018.